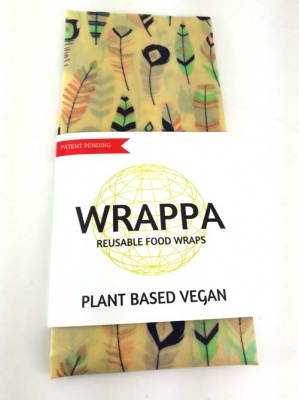 A Vegan plant based reusable food wrap. 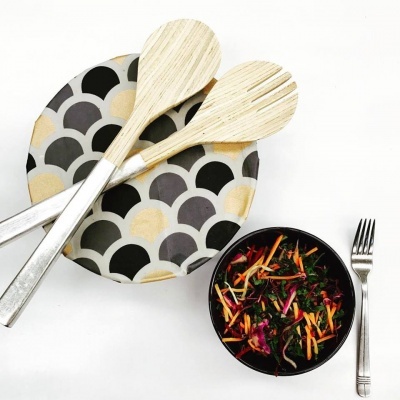 A sustainable, natural alternative to plastic wrap for food storage. A huge 35 x 50cm JUMBO wrap is perfect for crusty bread, celery, large platters or even making up a jumbo snack bag for your lettuce greens. 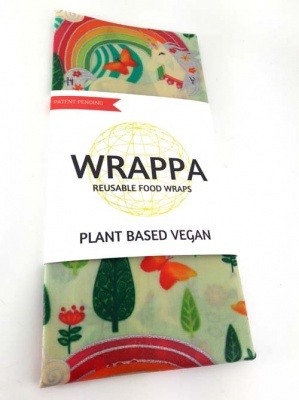 Wrappa VEGAN food wrap! 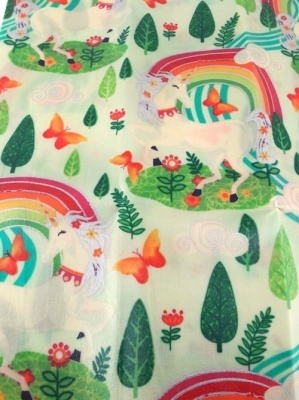 A funky and environmentally friendly alternative to plastic wrap! 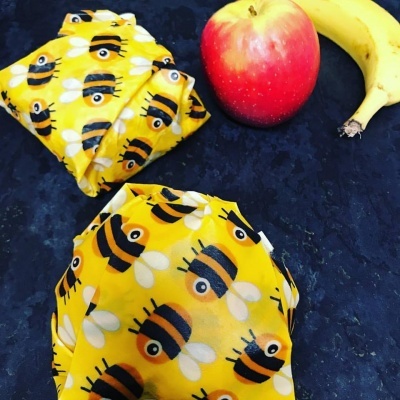 A PLANT BASED REUSABLE FOOD WRAP, using 100% cotton, two plant waxes (candelilla and non-GMO soy), tree resin and jojoba oil. A huge 35 x 50cm JUMBO wrap is perfect for crusty bread, celery, large platters or even making up a jumbo snack bag for your lettuce greens. 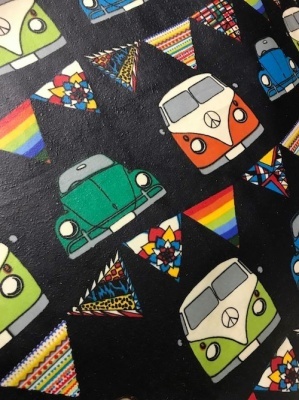 You can even take to this wrap with scissors! I know - that's hard - but it's ok. Cut the jumbo into whatever size variety you like. 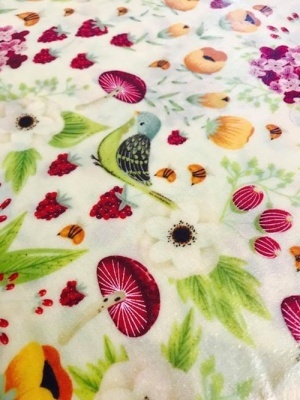 It is the ultimate in custom orders. 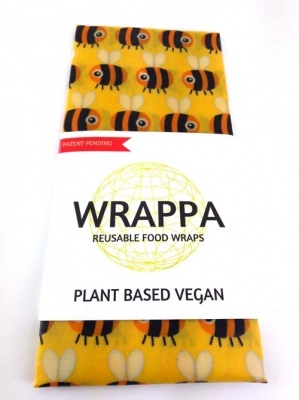 Also see our set of 3 vegan food wraps here. Out of the package, your wraps are ready to go. You don't have to wet them. Use the warmth of your hands to soften the wrap, create a seal, when cool the wrap holds its shape. A natural, reusable, breathable and compostable food wrap. 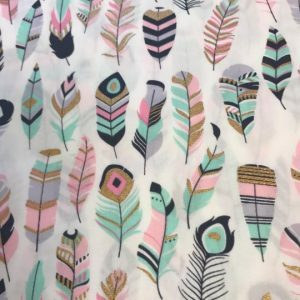 With regular use, the wrap should last between 6-12 months. At the end of its life the wrap can be composted. Hand wash in COLD water with an eco-friendly soap (alcohol-free soap) is the best and air dry. In cold water the coating will be stiff, providing a stable surface to clean. Wash like a plate, not a piece of fabric. It can handle a light scrub with a gentle dishcloth or unsponge. In the fridge, the wrap becomes stiff and holds its new shape. A return to room temperature will soon soften it. Not suitable for the dishwasher, microwave oven, direct heat or high temperatures. Allow food to cool slightly before covering and avoid placing hot food directly on your wrap. Keep away from all sources of heat and open flame. It is not recommended for meat as it can't be washed at a high temperature. Have you made snack bags with your wraps yet? Simply fold the sides over twice and hold down with your hands so the warmth seals the wax. Repeat on other side. Fill with snack, sandwich, veggies etc and then fold the top down. Press to seal. Done! Wipe over and reuse for up to 12 months! It's a winner for you and the environment!